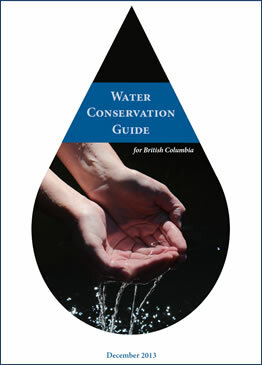 Home › Articles › Water Conservation Guide for BC – Now available! Water conservation is a valuable source of ‘new’ water that brings benefits to communities of all sizes. It can lighten the load on your existing water sources and systems, increase the efficiency of local water use, and save your utility money on treatment and distribution costs while protecting the environment and keeping water services affordable. Water conservation plans are an excellent means of coordinating conservation efforts to maximize the benefits to your community and keep the number of drops saved per dollar high. The potential savings can be great, allowing your utility to defer or reduce costly investments in upgrades or new water or wastewater infrastructure. As of 2013, over 40% of British Columbian communities have developed water conservation plans. This guide provides a seven-step water conservation planning process to get your community on track for a healthy, water-wise future. It has been designed to help small to mid-size communities identify and realize their water conservation goals, though it contains information that larger BC communities may also find useful. Each step shown in the diagram is outlined in a chapter, with step-by-step instructions for how to develop and run your planning process, an example case to demonstrate ideas, and a writing checklist to assist you in crafting a water conservation plan for your community.